After an apparent falling out with her last chief information officer earlier this year, Oregon Gov. 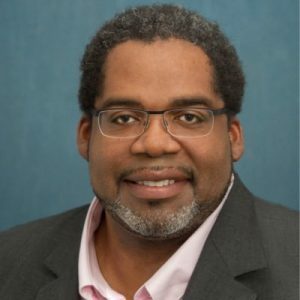 Kate Brown has appointed Terrence Woods, the former deputy CIO who had been serving as the acting technology secretary since Alex Pettit resigned in April, to take the top job on a permanent basis. As Oregon’s top information technology official, Woods will assume full control of the an information technology agency that oversees 1,300 workers employees spread across more than 100 state agencies. “Terrence’s service over the past eight months as Interim State Chief Information Officer has brought a focus on my goal to streamline state government and modernize our systems to better serve Oregonians,” Brown said. Woods, who is credited with developing the governor’s current IT modernization strategy, has spent the past 13 years in various roles throughout state agencies, including stints as the CIO and administrative services administrator for the Department of Revenue, IT director of the Oregon Health Authority; and deputy CIO at the Department of Human Services. He is also responsible for a full launch of a project oversight initiative called Stage Gate that was established in 2014 by the CIO’s office and the state legislature’s fiscal office. Oregon is also managing an IT consolidation initiative passed by the legislature at the governor’s request last year. In addition, Woods will also be tasked with creating and managing a statewide data strategy with the aim of improving Oregon’s ability to produce, analyze and share data for the purpose of improving decision-making throughout state government. Woods was not available for comment on his promotion.